Best known for its two massive hit singles, the quirky “Let ‘Em In” and the melodic and catchy “Silly Love Songs" (the extended album version is much better), this is a pleasant, laid-back album. Its success was probably due, however, to the presence of those two tracks on it. 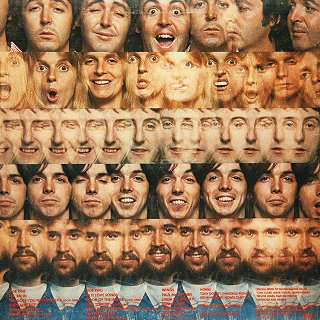 Paul McCartney decided to show that the band was not just him, but a co-operative, and allowed free rein to his mates to sing on various songs. This attracted criticism at the time (despite previous criticism being that the band was a vehicle for McCartney). Personally I don’t mnd. I don’t feel it spoils the album particularly. The songs still sound like McCartney & Wings songs. “The Note You Never Wrote” (featuring Denny Laine) and “She’s My Baby” are by now standard Wings easy listening fare. “Beware My Love" is a bit of an underrated treasure with its rocking last half, probably the only true “rock” song on the album*, although “Wino Junko” (featuring Jimmy McCullough) has its heady, rock moments too, over a shuffling, semi funky beat. With regard to wife Linda’s “Cook Of The House” - it a fun, jazzy upbeat piece, but the dishes mentioned are decidedly unappetising! “Time To Hide” is again a competent but relatively unthrilling rock-ish song. “Must Do Something About It” has a nice bass line and some pleasing Hawaiian-sounding guitar together with a catchy chorus. 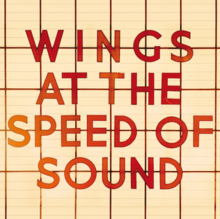 “San Ferry Anne” is another jazzy number and the final track “Warm And Beautiful” is a classic McCartney ballad, worthy of inclusion in any “Best of Wings” playlist. All these songs are extremely appealling in many ways, but in other ways they don’t really stick in the mind much. The album is a perfectly acceptable listen, but no more, really. It is a very summery album, almost easy disco-styled for daytime radio in places. * An extra on the two CD version is a version of “Beware My Love” with Led Zeppelin’s John Bonham on drums, typically pounding away.